The Greece international is currently in his fifth season with the Giallorossi and has racked a total of nearly 200 appearances across all competitions for the club. Despite this, his future continues to remain a regular discussion point and according to Calciomercato, both Arsenal and United are monitoring his situation ahead of the summer. 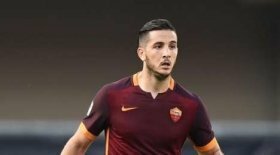 Manolas is said to have a release clause of around £31m on his existing deal and it is suggested that he could favour a move elsewhere, should the Giallorossi fail to qualify for next season's Champions League. Roma are presently four points behind the top four in the Serie A and they have recently sought to change their fortunes with the appointment of Claudio Ranieri at the helm. The ex-Leicester City and Fulham boss has rejoined his hometown club on only an interim role, but he has a good chance of discussing a permanent agreement in the summer, should the Giallorossi seal a top-four league finish.